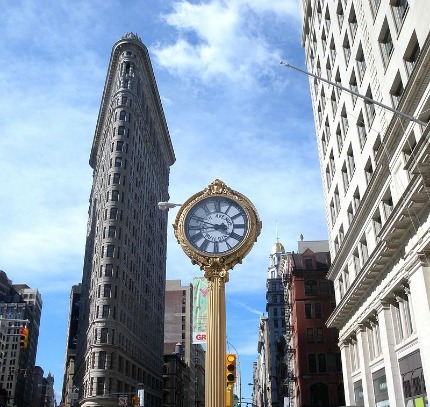 Named after the landmarked, triangular, steel-framed skyscraper located at 23rd Street and Fifth Avenue, the Flatiron District is a commercial neighborhood filled with office buildings and retail stores. And yet it's surprisingly family-friendly. At its center you'll find the 7-acre Madison Square Park, which boasts a popular playground and a conservancy that hosts enriching kid programs throughout the year. A massive Lego Store with a building lounge in back and the interactive Museum of Math both border the green space, making Flatiron a great destination for a family day out.